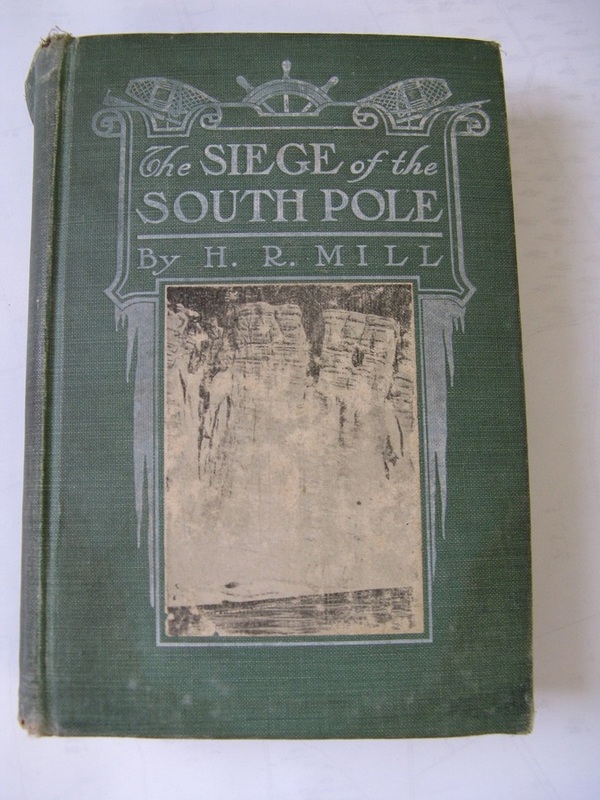 Title THE SIEGE OF THE SOUTH POLE. THE STORY OF ANTARCTIC EXPLORATION. Publishing Information London: Alston Rivers, 1905. Description 1st edition; xvi, 455pp, With over 70 illustrations from photographs, charts and drawings, large coloured map by J.G. Bartholomew MISSING. Olive green cloth boards with gilt titles and decorations. 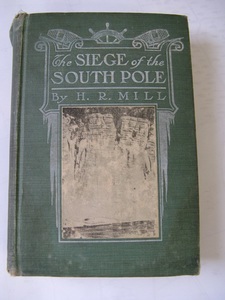 "A classic - the finest overview of Antarctic exploration ever written nad an essential reference work, its value not having lessened over time, Mill, who had been librarian of the Royal Geographical Soceity, melded thirty years of research, reflection, and contact with the most prominent polar people of his day together with his eloquent writing abilities in the production of this central work in the Antarctic bibliography." Rosove 226. A wide ranging history includes notes on American sealers, steam whalers, the discovery of Victoria Land, the 'Challenger',last voyage of 'Erebus' & 'Terror',James Cook, Thaddeus von Bellingshausen, Dumont D'urville, Charles Wilkes, James Clark Ross, & the Enderby brothers. Ex Libris, spine loosening, library number on spine, covers worn. Library bookplate on fep, covers splitting at hing of eps, embossed library stamp on title page, remnants of library pocket and stain of library pocket, rear ep, damp damaged with wrinkling to bottom of pages but still a good reading copy.